What Is a Homeric Simile? Homeric simile is named after the author of the "Odyssey." 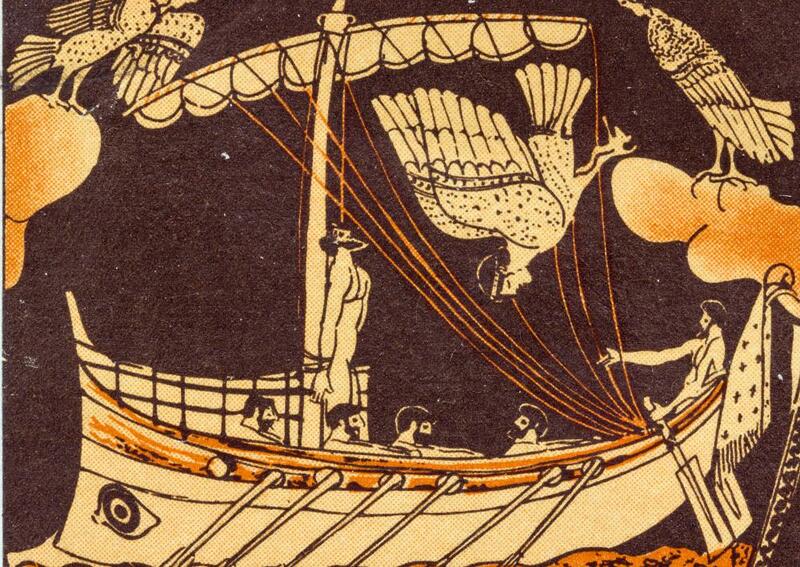 A Homeric simile was first used in the epic poem the "Iliad". 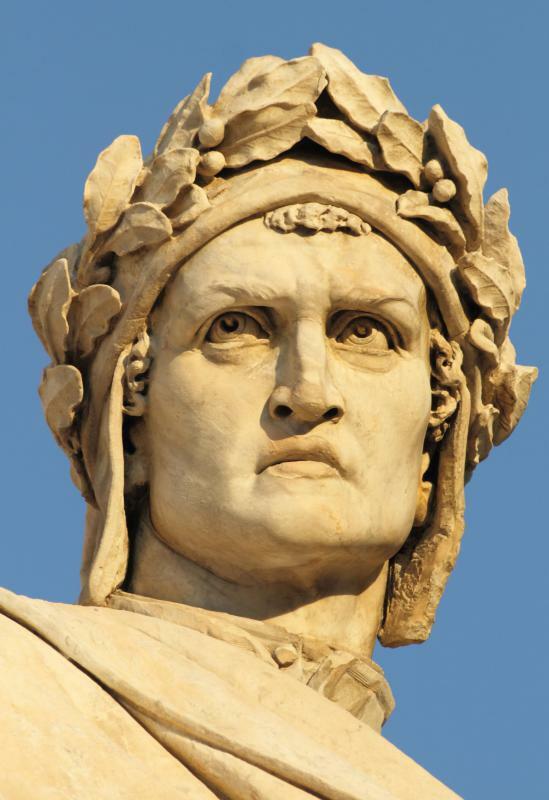 Dante was an Italian writer who employed Homeric similes. A Homeric simile is a longer version of a normal simile. It is a direct comparison of two things including characters, actions and nature. Being longer, the Homeric simile may compare one person or action with more than one thing, or may stretch out the comparison. 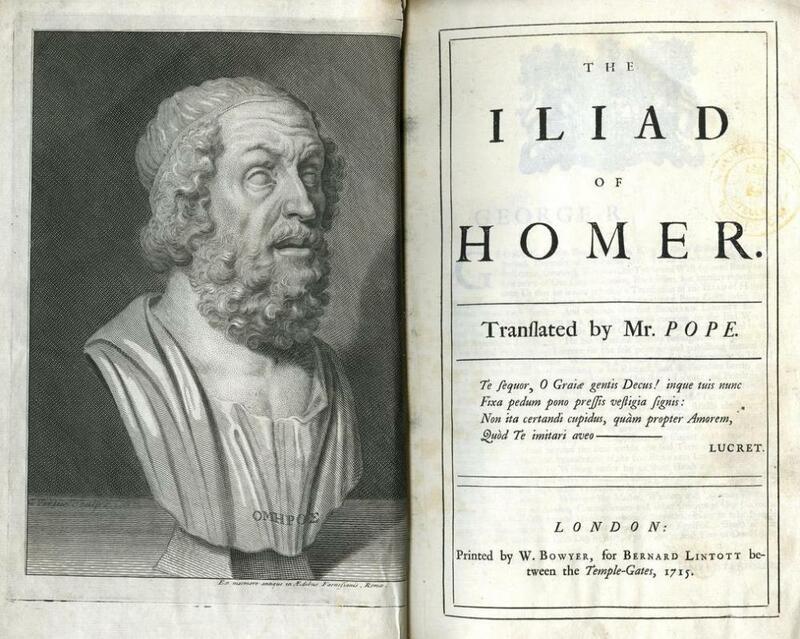 It was first used by Homer in poems such as the “Iliad” and the “Odyssey.” It is also called the epic simile and has been used since by poets such as Virgil and Dante Alighieri. Each Homeric simile begins with an initial comparison. This is then drawn out into secondary comparisons, which add deeper meanings. The overall Homeric simile tends to last around four to six lines of verse. These similes tend to compare a human character or an action to something natural. This natural element can be an animal such as a lion or eagle, or it can be a phenomenon like a storm or a waterfall or it can be something more godly. Homer and Dante used more subtle similes than Virgil. Virgil’s, such as this comparison of Neptune to an orator, is direct and lacking in subtlety. Homer used his similes to enhance profound moments and to add depth. One example in the “Iliad” is where he compares Menalaos to a wild beast. The analogy brings about specific imaginations in the mind of the reader/listener so he or she imagines Menalaos literally as a wild beast hunting for Paris. The function of the Homeric simile is to inject lyrical artifices into the poem when the poet is describing something prosaic. The effect is also to use symbolism to add a deeper meaning to that person or action. He also used it to highlight special characters. For example, Homer used epic similes to introduce and re-introduce Agamemnon each time he entered the fray. What Is a Biblical Metaphor? What Are the Best Tips for Using Similes? What Are the Uses for Simile in Poetry? What Is the Role of Diction in Poetry? What Is an Epic Simile? What Is the Function of Onomatopoeia in Poetry? I'm writing a paper on similes and metaphors, but rather than using example from older poets, I'd like to stick with those of the more recent past. But I am stuck on finding examples of epic similes. I was thinking perhaps "The Love Song of J. Alfred Prufrock" utilizes them, but are they really the same thing? If not, does anyone know some more recent poets who have used epic similes?